A new generation of liquid-cooled LED light bulbs are set to go on sale, which will result in energy savings for consumers. The revolutionary design, which has been developed by makers Switch - a Californian-based firm, offers a longer life and a better performance than a regular bulb. 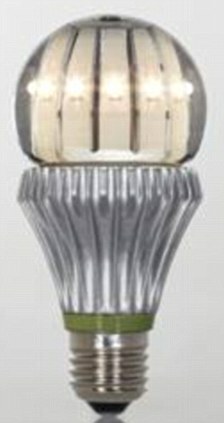 The bulb which was showcased at the Consumer Electronics Show in Las Vegas, Nevada, is set to retail for £24 when it eventually goes on sale. However, unlike the traditional design, it will use a fraction of the watts to emit a brightness that matches up to its 100W counterpart.